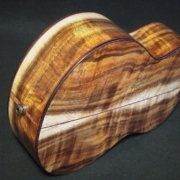 I may have turned the corner on concert ukulele design. 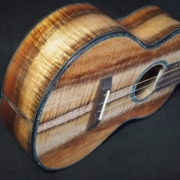 After reluctantly making a few long neck concerts (tenor 17″ scale), I have decided to make them all with this scale length. Whether they are tuned high or low “G” they are bright and punchy. 15 Frets to the body helps to center the bridge. 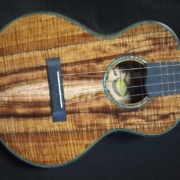 Here’s a Long Neck Koa Concert Ukulele delivered to Hale Ukulele this week. I put my standard GHS high “G” flourocarbon strings on this one but used a Thomastik wound “C” (CF27) in place of the nylon. 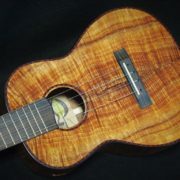 When I first started making ukuleles I always used a high “G” tuning with an aluminum wound “C”. Sounded good, but the aluminum string did not last long and was a bit too dominant. The Thomastik string sounds great. Pretty koa is always a treat! To get the bridge a bit more centered on the sound board, I am making this instrument 15 frets to the body instead of the standard 14. 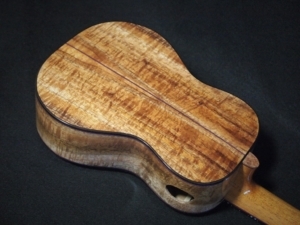 This Koa is from Hearne Hardwoods. Martha, my sales representative there, always has her eye open for looks that I find appealing. 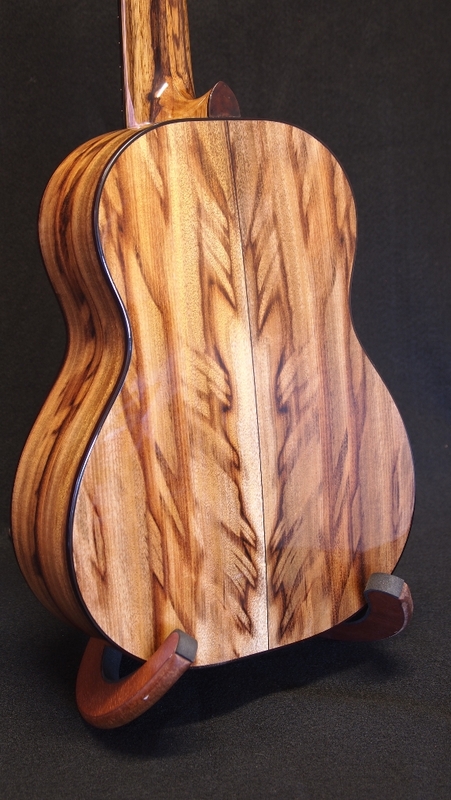 I think this is a great set of Koa with a warm brownish tone, lots of grain and curly action. Thanks Martha! Blue Paua Abalone with fuschia/black accents. 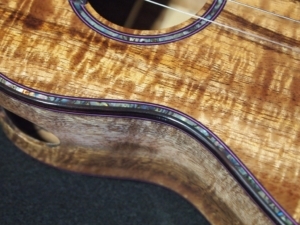 Pretty much a straight forward build with the exception of the Blue Paua Abalone purfling and soundhole rosette. 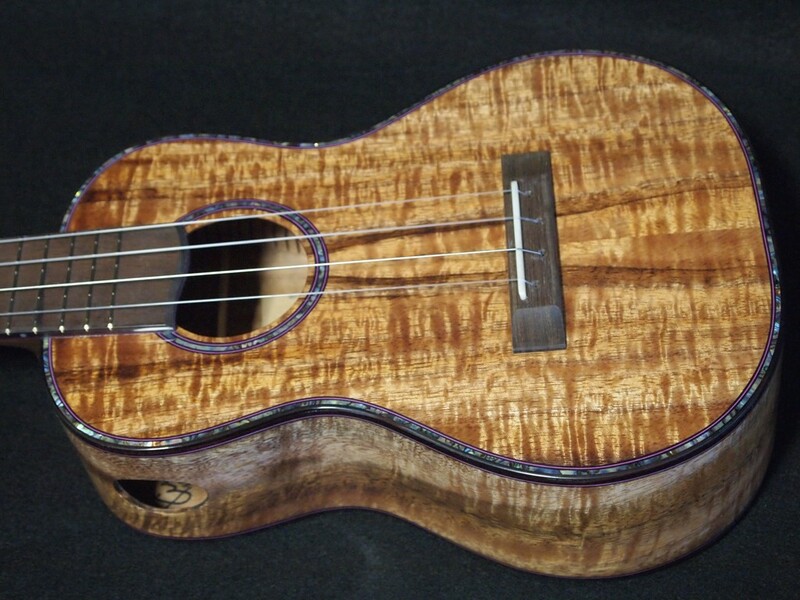 Definitely not a Turkey, I think the Long Neck Koa Concert Ukulele is here to stay!